We are already a quarter of the way into 2019… where did the time go?! Well, from a real estate perspective, we have seen the market begin to stabilize from the beginning of January to now. With less than 4 months of residential inventory in Lynden, it remains a sellers market, but buyers are proving to be optimistic as existing home sales jumped and interest rates hovered at the lowest levels they’ve been in over a year! So, what exactly happened in March? 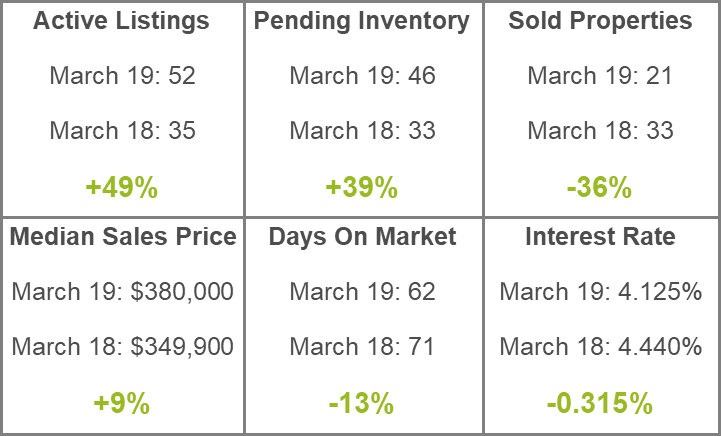 See below for our Lynden Market Snapshot!